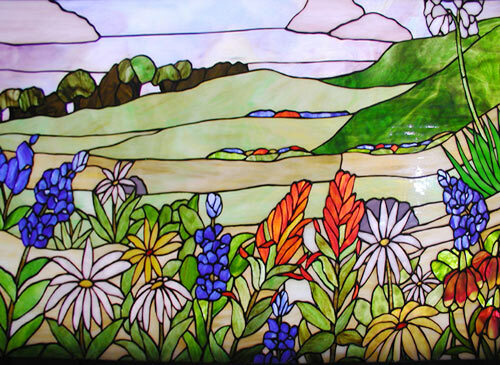 Texas Wildflowers 3 Stained Leaded Window by Jack McCoy© Custom Glass Design. 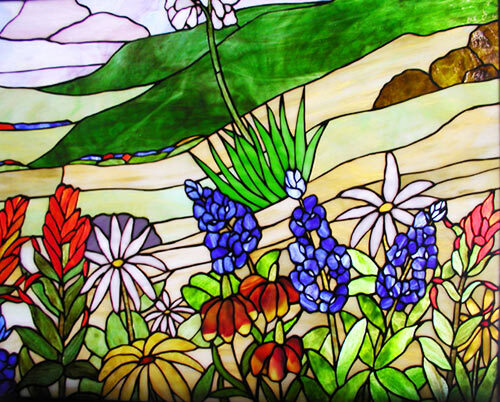 "TEXAS WILDFLOWERS 3" – STAINED GLASS TEXAS WILDFLOWERS WINDOW CUSTOM GLASS DESIGN CREATED BY JACK McCOY©. 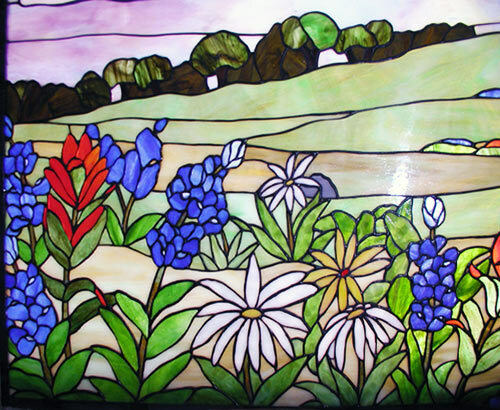 "TEXAS WILDFLOWERS 3" custom stained glass window was 26" x 60" and depicts some of the most popular wildflowers on the Texas landscape.